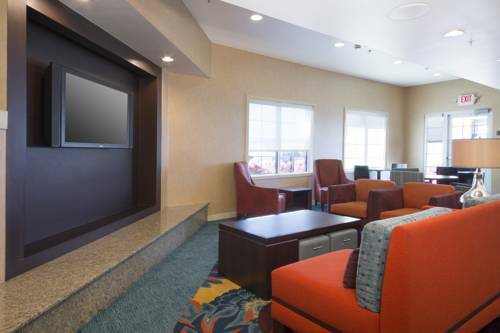 Whether its a short or long stay, business and leisure travelers agree that the all-suite Residence Inn Sacramento Folsom is the ideal choice of hotels in Folsom. Our hotel near Sacramento is centrally located between South Lake Tahoe and San Francisco. Corporate travelers enjoy being minutes from Intel, Blue Shield, and Aerojet. Find us adjacent to the brand new Palladio at Broadstone Lifestyle Center and just a short drive from El Dorado wine country. Other attractions include Folsom Lake, Folsom State Prison Museum, and more. As the prime selection of Folsom hotels, we have perfected long-term travel by combining the comforts of home with a passion for making each guest feel welcome. Each of our suites have a full kitchen complete with microwave, fridge, and ceramic cook top. Enjoy a complimentary breakfast each morning, free parking and Wi-Fi, and The Mix, our social program three nights a week. Bring the whole family with you, were pet friendly! We look forward to being your home away from home. Dentist Ken Fox sculpted this large statue of a Chinese laborer. The city of Davis built special tunnels so toads wouldn't be squished crossing the highway. So claimed, a whopping 44-lbs., on display in the Jewelry Shop/Heritage Museum at IronStone Vineyards.